Racism in the media is alive and well. 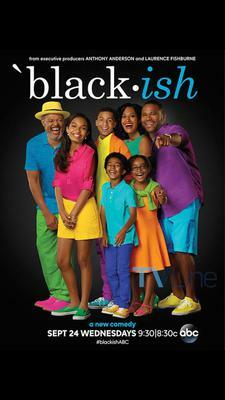 While sitting down to watch TV the other night a show came on titled, "Black-ish". As I watched the show I couldn't help but think, "What if there was a show called "White-ish"? I'm not a racist person. I believe in equal rights and equal opportunities for every race. My idea is to make a documentary that explores the idea of "Could I get away with that?" The film would take clips from shows like Black-is, and anything with "Tyler Perry's" in the title and other African-American shows and show clips from those shows that talk about their black coulter. Then we would hire white actors and act out the exact same scene but only switch the word "black" with "white". Example: in the show Black-is they say, "You don't ever want to get a black women angry." The film would then show the white actors saying, "You don't ever want to get a white women angry." Then a crew would go around the country showing random people the white actor's clips and ask them if they think it's ok to show those clips on television. Then after they answer they would then show that same person the clips of the legitimate black shows that have already been on television and get their reaction. Then we can start answering questions like, "If that race can get away with saying that on television why can't other races?"